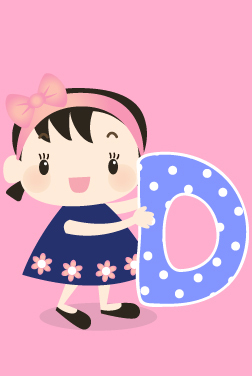 The letter D in girls describes a loyal and trustworthy individual, who’s always up for helping others. They have a firm sense of purpose and a set of principles, which they follow religiously. This makes them larger than life. People with this initial can even be a bit finicky about tidiness and cleanliness, but that’s just a part of their perfectionist nature. In numerology, D is equivalent of four, which represents security, hard work, and balance. They are extremely patient and do not give up easily. They even have an eye for detail and think through things thoroughly. So your baby is sure to impress everyone with her planning and knack for organization. But there’s one drawback with this initial. Communication can be a bit of a problem with D people. They tend to be overly suspicious and cautious of everyone around them. So they’ll need to work really hard to make and maintain close relationships. If you wish to give your baby girl a name starting with D, take a look at MomJunction's listing below. We have beautiful D baby girl names sourced from various regions and religions. Some are modern and colorful, while others are traditional and classic. In short, there’s something for everyone out there.